Welcome, this site is for the benefit of Men, their Mates and Families to shine the light on ‘Men’s Health and Well-being’. The appearance of a National or Country Coat-of-Arms is to highlight our patriotism towards helping all men and their families and not to indicate we are a Government agency. On our State, Territory & Provincial pages you will have access to indexed Links & Phone Numbers collated under Four main Categories; ‘Men’s Support Services’, ‘Men’s Referral Service’, ‘Men’s Health services’ & ‘Men’s Connect Groups’. Of Note and equally important is the ‘Events‘ page that offers access to a variety of registered Societies, clubs & generic organisations as well as the pages for any regional events. Please Note: Any views expressed in various Articles / Reviews should not be considered synonymous with the Men’s Elective Network. This Men’s Elective Network Website is our Hub that is interconnected by a networking of websites for the benefit of men in general which when encompassed with partners and families is therefore also for the benefit of all Men and their Families. 1/ Support – Charity & Agencies– Help now : Assistance | Assault | Dad’s. 2/ Referral – Govt & Professional– Access Point : Specifics | Violation | Fathers | Consultants-$. 3/ Health – Men & Family– Triage Assess : Conditions | Resource. 4/ Connect – Local & Regional– Male Call : Programs | Reference | Global | Female. MAIN MENU / Events – Various country Associations with Club links & Directories – & Sub Headings to State Events. 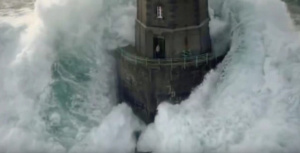 The Concept – Sea Vessels need to see where the lighthouses are (as Locators of danger as well as a bearing), BUT not to travel directly to them, they are an intrinsic Indicator… Men are a bit like this – More often than not, glad to assist… but less inclined to except help! This site is the central locale, “Hub”, of the Men’s Elective Network [M.E.N. ], is registered with the Australian Securities & Investments Commission [ A.S.I.C. ], Account number: 85615728731. The Aim is to support Men’s Health & Well-being by the provision of Resource Directories from a central location. Ongoing adjustments are anticipated to the Category lists as new Sites & Contacts are created (or deleted) and in regard to these linked sites it needs to be Clarified that all of the linked Websites are worthy and well established entities in their own right… made up of Non-profit Agencies, Government (Fed, State, Local) & Professionals, Health institutions and various Community Groups… nothing new has been invented here, just “centralised” for ease of access. Additional pages highlighting various items-of-interest are included as part of the theme of the Network. If you require more personal background information regarding who sets up the sites and maintains them then please send an email from the contact page. For some Men, loving themselves is a big enough challenge in life let alone loving others… feeling like a dull unsharpened axe where more strength is needed to combat some of the heavy schedules we have in our lives today. All due to a myriad of reasons that can effect positions in Family Life, Relationships, Work, Spiritual and even Leisure. The Statistics on men’s health & general well-being are undulating further & further to extremes (depending on the source). Many Professionals and Family members continue to highlight areas that appear paramount from time to time, the Men’s Elective Network desires to enhance men’s growth (both individually & Collectively) through corroboration of the Various Websites established for men’s health & Well-being to point men in the right direction… to Ask, Seek & Knock. Men in general work hard, play hard and have great expectations of themselves – and others, in their quest to find contentment in everything they do. In addition to the responsibilities of family & working Life most Blokes need an outlet with Sport probably being at the top. For some, simply watching “their Team” or “favourite player” is sufficient but for others it involves more of a hands-on approach – from recreational fishing or golf to an extreme high risk high impact activity that may involve either strength, speed or Height, the Ultimate of course is all three! Other forms may have a more Social nature… even nature itself! Another more prominent activity is construction – or preservation… Buildings, Planes, Trains and Automobiles – Model or Full scale, Music too is often “instrumental” as an outlet in all its expressive forms. As water reflects the face, so ones life reflects the heart… as iron sharpens iron so one person sharpens another – all this and more… together portray the amazing skills that Men display in their quest for success in life.